Fuller Powercut Lawnmower Battery Sealed 896 U1 12N24-4 12V 26.0ah from County Battery Services. 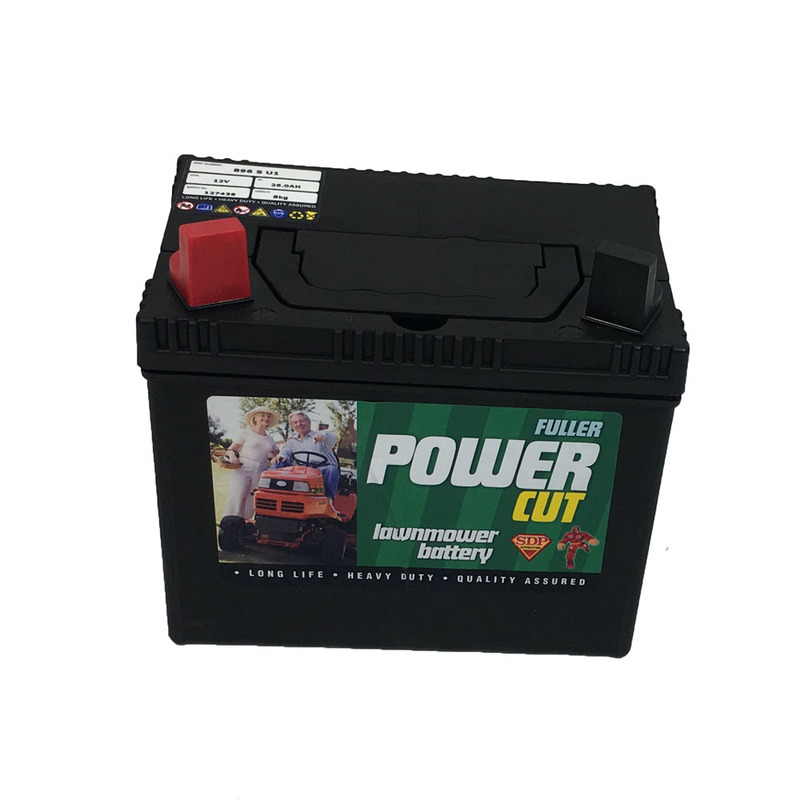 FULLER POWERCUT LAWNMOWER BATTERY 896 Sealed 12V 26.0ah 12N24-4 is one of the best leisure batteries on the market for gardening, lawn mowing, etc. These batteries have a capacity of 26.0ah each, as you would expect from a brand leader like Fuller as they are manufactured to a very high standard. These batteries have a long lasting service life, reliable starting power, unique safety design and comes equipped with a charge level indicator. The battery has lead acid technology and low electric resistance with one-year warranty.